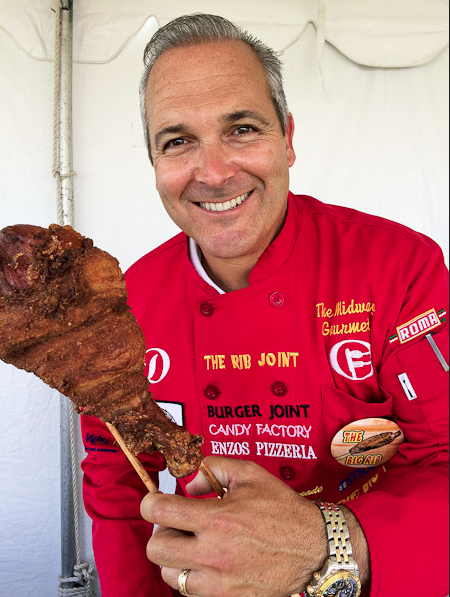 The Midway Gourmet, Dominic Palmieri III, was born and raised in sunny Los Angeles, California. Through his passion for food and his gift of creativity he has established a culinary empire on the carnival midway which has spanned almost 30 years. "The Midway Gourmet" calls the Ray Cammack Show midway his home along side his wife Kim, 4 beautiful kids, and countless family members and friends. The carnival really is a family aFAIR! Come join us and expect the unexpected!